a) Syllabus for the examination in a soft copy. 5.Candidates are to pay N500 to obtain the newly introduced book “The Last Days at Forcados High School.” However, this will be issued to candidates at the point of registration after showing evidence of payment. 7.The venue of the examination will be at the candidates chosen town during registration. 13. The passport to be used for registration must have a white background. The instructions provided on this site will guide you to fill the registration form. Make sure you understand every step in the instruction before filling. Candidates are strongly advised to study the Brochure carefully before proceeding to fill the registration form. This is to avoid making mistakes in filling the form. Please note that on the Registration form, the red asterics (*) appearing besides some text boxes of the forms is an indication that the option is compulsory and must be filled with valid data. Note that you cannot change your Exam Town after you have submitted your form. After filling the form, on the confirmation Page, you will see Discard and Submit buttons. Clicking the Discard button means you still have intention to re-visit your form and may make further changes. 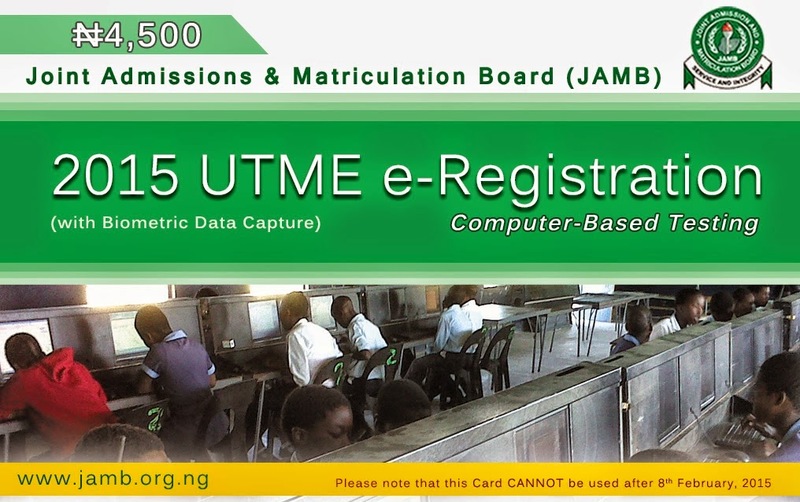 Note that your form gets to JAMB ONLY when you click on Submit button. On submission, you shall be redirected to Registration Slip page for printing.